What’s it like to be a ghostwriter? 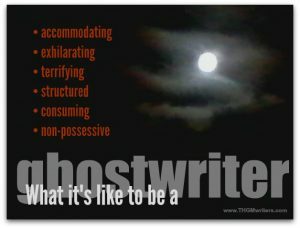 Do you wonder what is a ghostwriter, and what it’s like to be one? In this post, we spill the beans. I’ve seen this question from time to time in forums and social media groups, so I would like to provide a complete answer: What’s it like to be a ghostwriter? The short answer is that being a ghostwriter is many things.